On 9th February, Uppercut Deluxe will create a pop up barbershop at House of Vans in London, as part of an all-day fundraiser in support of The Grand Appeal, the Bristol Children’s Hospital Charity. In October 2018, barber and long-time Vans family member Paul Hewitt found that his son Franck had been diagnosed with Acute Lymphoblastic Leukaemia. 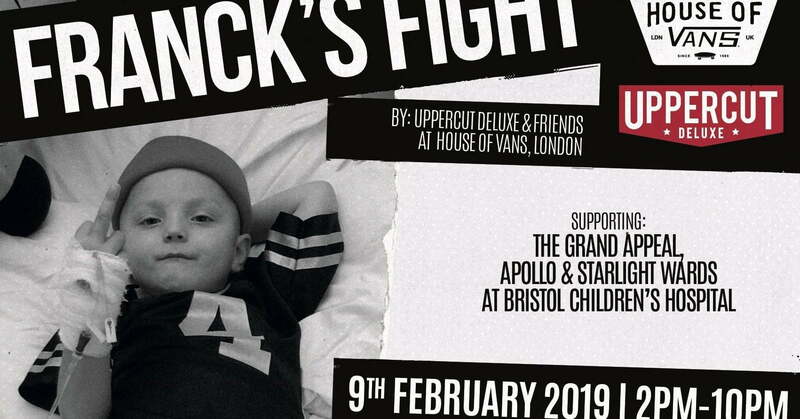 To help raise money for The Grand Appeal, and specifically the Apollo and Starlight Wards at Bristol General Hospital, where Franck is being treated, Uppercut Deluxe will be hosting a pop up barbershop. Entertainment includes a rare live acoustic set from Slaves and DJ Set from Enter Shikari. Tickets cost £10 and are available here. All donations will support The Grand Appeal.